Going through divorce means big changes for both parties. Daily life changes drastically, new lifestyles must be built, and assets must be divided. It takes a lot of planning and careful consideration in order to protect yourself and your fair share of your assets in divorce. There are many tricky things to divide up from homes and vehicles to bank accounts and retirement plans. Tricky or not, retirement plans are often one of the largest assets that couples have to divide in divorce and are therefore extremely important. In order to make sure that you are getting your fair share you’ll need to have a deep understanding of what you are legally entitled to as well as probably hire a qualified attorney to help you sort the matter out. There are many retirement plan options available these days and many employers offer different types of retirement plans as well. If your spouse has an employer-sponsored retirement plan such as a 401 (k) or similar, then you are entitled to part of the sum as part of the divorce settlement. Just because you are entitled to part of this plan doesn’t mean that you will automatically receive it. It’s important to take some measures to ensure that the fund will pay the money to you and not your spouse. A Qualified Domestic Relations Order or QDRO will help to ensure that the money goes to you and not to your spouse. QDRO’s are court orders that instruct a retirement fund on how to pay out the money. A QDRO is legally binding and will ensure that your spouse’s retirement fund will pay the money out according to the settlement. 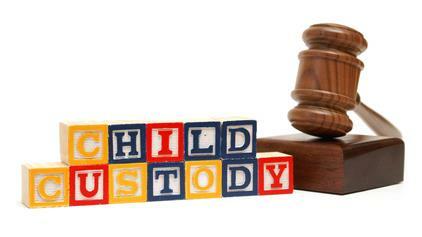 These court orders are often used for alimony, child support, and property division issues as well. A QDRO is like the muscle that enforces what is in your settlement and will make the orders laid out by your settlement legally binding. QDRO’s are available for any retirement plan that is tax-qualified by theIRSand covered by the Employee Retirement Income Security Act or ERISA. It’s important to have your Domestic Relations Order approved by both the retirement plan’s administrator and a court of law. This is the only way to make it qualified and get the ‘Q’ in ‘QDRO. When it’s all said and done you can relax and know that the court has ordered the money to be paid to you. These legal protections are generally not available for military pensions as they are governed by a different set of rules. The schedule of payments will be determined by each individual plan. Plans with defined contributions may pay out a lump sum or monthly payments over time. Often these types of plans will pay out monthly payments once the retirement age is reached. While most retirement plans are generally considered community properties and therefore eligible for division, there are some retirement incomes that are viewed as individual incomes and will not be shared. These incomes include individual social security incomes, military injury compensations, and workers compensation payouts. Legalese can be very confusing and these types of orders are no exception. This will be an important part of your future financial security and you’ll want to make sure you get it right. A qualified attorney with a wealth of experience will help to sort out the intricacies of your settlement as well as make the whole process easier by filing on your behalf and doing a lot of the legwork for you. An experienced attorney will help you to get a better settlement and work more efficiently than an inexperienced one, cutting down on fees and time. Each divorce settlement is unique but at the end of the day there are pretty much only two ways to divide these retirement plans. The first is called present day valuation buy-out where the spouse with the retirement plan would be forced to cash out the retirement plan at its present value and then divide the result. The second option is called division into two accounts. For this method, one spouse would be required to deposit a portion of their retirement plan into the other spouse’s account. Qualified personnel should always oversee these procedures to make sure they are done correctly.